Will Sessions' leaks crackdown impact journos? The Justice Department is conducting 27 investigations into classified leaks of information, a sharp increase from recent years, according to Attorney General Jeff Sessions. At a House oversight hearing on Tuesday, Sessions sought to emphasize that his department is taking the leak "epidemic" seriously. "Members of the committee, we had about nine open investigations of classified leaks in the last three years," Sessions said. "We have 27 investigations open today. We intend to get to the bottom of these leaks." Later, he described the numbers in more detail, saying the Obama-era DOJ investigated "three per year" while the Trump-era DOJ has "27 ongoing investigations." Leak investigations could result in criminal prosecutions or other punitive actions. Sessions' statements are likely to please President Trump, who has repeatedly vented his anger over leaks, and expressed his disappointment in Sessions and the Justice Department. 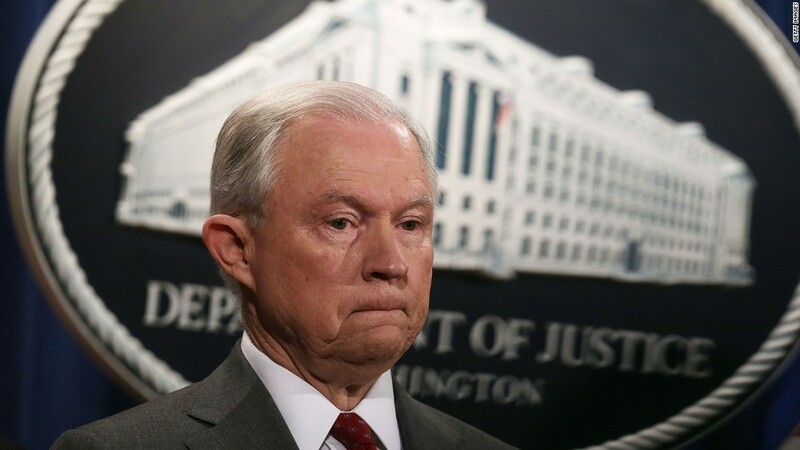 Back in August, a few days after the president called Sessions "very weak" when it comes to prosecuting leakers, Sessions and his deputies announced a stepped-up effort to pursue leakers. He said "one of the things we are doing is reviewing policies affecting media subpoenas." The Justice Department has said little about the leak hunt since then. But newsroom leaders have been concerned. So far this year, the Justice Department has announced one prosecution of an individual for allegedly leaking classified information to a journalist. Sessions mentioned this case -- involving a government contractor named Reality Winner -- when he was asked if anyone "has been held accountable" for leaking. Winner has pled not guilty. Journalists and media law experts have presumed that many more investigations were taking place behind the scenes. Sessions' comments on Tuesday seemed to confirm that. He said leaking has reached "epidemic proportions." "It cannot be allowed to continue and we will do our best effort to make sure that it does not continue," Sessions said. Marty Baron, the executive editor of the Washington Post, told CNN last month that he thought the August announcement was "an effort to try to intimidate the press from doing its job." He said it's possible that some Post reporters are ensnared in leak investigations right now, but the Post wouldn't know it unless there was a subpoena, a search warrant or "an actual leak about the leak investigation." Later on in the hearing on Tuesday, Sessions was asked if CNN's reporting about the so-called Trump dossier is the subject of one of the 27 leak investigations. Sessions declined to answer. The first ten months of the Trump administration have coincided with a rise in the number of leaks from government sources to reporters. Many sources have described White House infighting and incompetence. But some of the leaks have been about top-secret work and other classified matters -- triggering the DOJ's leak investigations. Earlier this year reporters told CNN, on condition of anonymity, that "the leak hunts are getting very aggressive" and "the climate of fear surrounding the Russia investigations is off the charts."